Natasa - Raskršće - Lečenje bolesti zavisnosti. Lečenje narkomanije. She grew up in Sremski Karlovci, a small town in Serbia. Her parents divorced. In those days pictures of a happy and ideal family could only be found in the fantasies that existed in her head. As a result of the sadness over the loss of her home and family she became very bitter and angry. She hated everything and everyone. Out of her anger grew a rebellion, which took her to destruction. She chose the worst friends and slowly came to the worst possible things: marijuana, prescription drugs, alcohol, drunken parties, immoral people and in the end, drugs. 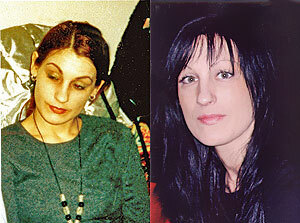 Without hesitation or fear Natasa entered the dark world of junkies and dealers. First she thought she was feeling fine: she didn’t understand the dark aftermath of drug addiction. The only thing that was important to Natasa was not to feel anything. She did not want to feel any kind of pain and she wanted to keep anyone from hurting her anymore. She was trapped. When she tried to get out of that life and move on she could not. There was no way out. Every attempt ended with a new defeat and this continued for the next ten years.